With the first Android-powered mobile phone — the HTC Dream — recently hitting the market in Australia, comparisons will the ever-popular Apple iPhone 3G have already begun. It's easy to see why — both are touch screen smartphones running modern mobile operating systems designed to deliver an intuitive user experience. So which device comes out on top? 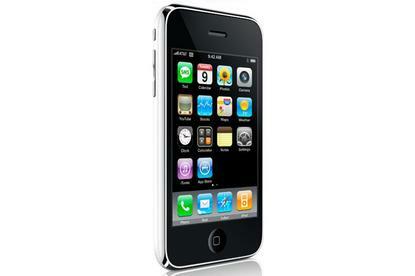 The iPhone 3G's operating system is completely closed and is being developed by Apple purely for Apple devices. The Android platform on the other hand is open source — it is developed primarily by Google, but a number of other companies are also involved. This group is called the Open Handset Alliance and includes the likes of HTC, Samsung, Sony Ericsson and Motorola. The benefit of an open platform is that almost any company that wants to make a smartphone running the Android OS can, and a company is able to modify the software to suit its specific needs. There are also some downsides, though: with Apple, developers have a set of specifications and guidelines they must adhere to when producing software. With Android devices being built by a variety of companies, consistency could be an issue in the future. But as it stands, the potential for tweaks, add-ons and improvements is far greater on the open source Android platform. Android's interface is admirable, and perhaps the closest a competitor has come to toppling the iPhone, but it ultimately falls short. The HTC Dream's touch screen is responsive, but it lacks multi-touch, and it's slightly smaller than the iPhone's and not as smooth. Using the iPhone feels natural; transitions between screens are superb, animations are excellent and the overall ease of use is outstanding. Android has some pretty nifty interface features — the best of which is a superb, pull-down notifications system — but in the end, the iPhone is far more polished. Apple holds a huge edge here. This is unsurprising — many of the company's products are accused of being all style and no substance. Regardless of the iPhone 3G's lack of some very basic features, its design is excellent. Compared to the HTC Dream, it looks sleek and attractive, with combined gloss plastic, rounded chrome edges and excellent attention to detail. The HTC Dream could easily be considered ugly, depending somewhat on your tastes. The Dream's matte black finish isn’t intended to attract fashion lovers, and HTC could have done a better job. The USB port cover is flimsy, the keyboard's plastic hinges are revealed when it is slid open and the bulky bottom section of the handset is more an annoyance than a thoughtful design choice. The iPhone 3G's on-screen keyboard has long been the source of fierce debate — heavy e-mailers and business users are thought to prefer a physical keyboard, while Apple fan boys will argue the iPhone 3G's on-screen keyboard is just fine for text entry. While we admire Apple's efforts in this regard and believe the on-screen iPhone keyboard is efficient, we feel that there is no substitute for a physical keyboard. HTC has produced an excellent one on the Dream, with each key slightly raised and easy to press. Each key is spaced a comfortable distance from other keys. The only downside is the chunky bottom section of the handset that gets in the way of your right hand while typing. A big chink in Android's armour is the fact that it doesn't offer support for Microsoft Exchange, so business users are left out in the cold. This may change in the future, but at present the iPhone 3G comes out ahead. Despite the fact that Apple's e-mail client could certainly use some improvement, unless you use Gmail the HTC Dream's regular e-mail client can best be described as mediocre. Of course, the beauty of the Android platform is open source development, and there will surely be a number of mail applications available to download in the future that will solve some of these issues. Both the App Store and the Android Market are excellent additions to their respective mobile platforms. This is a difficult one to judge, as the Android Market has only just opened up to non-free apps. The iPhone's App Store has had quite a head start and features far more applications than the Android Market. Both have an impressive layout, feature user ratings and descriptions and have a seamless integration with their respective handsets, but the App Store is that little bit more impressive. Unfortunately for HTC this isn't even a contest. The Dream lacks a dedicated video player (apart from the built-in YouTube client), has a smaller display, uses a mini-USB headphone jack rather than a standard 3.5mm port and only comes with a 1GB microSD card for storage. Of course, the iPhone 3G is restricted due to the fact it lacks any external storage at all, but 8GB or 16GB of flash memory built-in should satisfy most users, and a 32GB model is expected in the coming months. The iPhone 3G is somewhat restricted compared to the HTC Dream when it comes to file support, though, and needs to be used in tandem with iTunes. Disappointingly, neither device features A2DP Stereo Bluetooth. We were very impressed with the HTC Dream's Web browser — probably making it the second best mobile Web browser available (though fans of the Opera Mobile browser — built for Windows Mobile and Symbian devices — would probably have something to say about that). The iPhone 3G's Safari browser did have some issues with crashes and instability in earlier releases, but most of these seem to have been fixed with the latest Apple software updates. Multi-touch really comes to its own here — the pinch and expand gestures to zoom out are superbly implemented and are something that the HTC Dream lacks. Android isn’t too far behind, as the trackball is an extra addition that makes scrolling around pages easy, and page rendering is excellent. In the end, though, Safari remains unsurpassed as the best Web browsing experience on a mobile phone. For a device sometimes lauded as the be all and end all of mobile phones, Apple has left plenty of basic features out of the iPhone 3G. There is no way to send or receive MMS messages, no way to copy and paste text, no way to forward SMS messages, no Bluetooth file transfer, no haptic feedback, no video recording and no way to use the iPhone 3G as a modem. In addition, the battery is non-removable, battery life is poor, the included camera is outdated and lacks a flash, and call quality is below average. The HTC Dream is also missing some basics — it lacks A2DP Bluetooth, video recording isn't a standard feature and you can't edit office documents. But in the end, it has more of the basics than Apple has managed to include on the iPhone 3G.